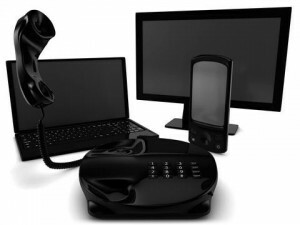 Compare triple play phone, TV and internet packages from cable, DSL and satellite providers. The general population today, whether in a developing or developed country such as America, considers entertainment as one of the fastest growing industries. More and more people clamor for the most channels, the best phone service, and the fastest internet connections. To get each of these services individually is a blow to the pocket. Good thing that the giants of the telecommunications industry have ventured into bundled offers. Internet, TV, and Home Phone bundles are now made available to the general public. There are different packages to choose from and different service providers, too. When subscribing to a DISH TV package, consumers get to save more money. With America’s “Everything” package from DISH network, consumers only get to pay $84.99 for 315+ channels 9 for 12 mos. with 24 mo agreement. With Direct TV packages consumers can only have 285+ channels and pay $119.99 per month. The difference may not mean much at first sight but add the expenses every month and the cost will start to hurt. The Verizon® Internet & Phone with DirectTV® bundles target consumers who want to save up money and bundle their services. Verizon has several bundles to offer. One of them is the Triple Play which offers better and more features than the Double Play bundle they are offering. The Triple Play gives consumers high speed internet with speeds ranging 3-7 Mbps, more TV channels as well as more phone features. When consumers choose to combine Verizon and DirecTV into a triple play, they get to choose from their DirecTV Choice Xtra plus a DVR with the Verizon phone and high speed internet of their choice. Time Warner Cable packages provide over 200 digital channels, High Speed Internet, and cost-efficient Home Phone services. XFINITY internet, TV, and phone bundles offer a sure way to enjoy communications even at home for lesser the price and it offers equally great features as Time Warner Cable. With all the varied and cheap internet, TV, and Home Phone bundles available in the country, choosing which one is best relies greatly on the consumer. Availability is one factor to consider. To check if the service is available in your area, calling customer support or visiting the official website of your chosen provider will help solve this issue. Bundle features are another consideration to take to mind. Lastly, budget is also a consideration. Not all internet, TV, and Home Phone bundles are priced the same. Though there are different types of bundles per service provider, choose one that fits your monthly budget.